Quantification of the trace element content of subcellular compartments is a challenging task because of the lack of analytical quantitative techniques with adequate spatial resolution and sensitivity. 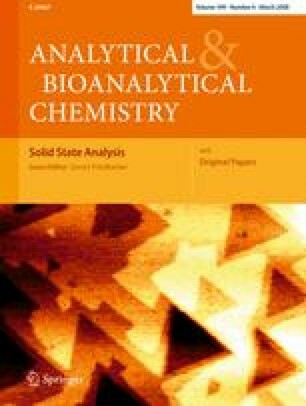 Ion beam micro-analysis, using MeV protons or alpha particles, offers a unique combination of analytical methods that can be used with micrometric resolution for the determination of chemical element distributions. This work illustrates how the association of three ion beam analytical methods, PIXE (particle induced X-ray emission), BS (backscattering spectrometry), and STIM (scanning transmission ion spectrometry), allows quantitative determination of the trace element content of single cells. PIXE is used for trace element detection while BS enables beam-current normalization, and STIM local mass determination. These methods were applied to freeze-dried cells, following a specific cryogenic protocol for sample preparation which preserves biological structures and chemical distributions in the cells. We investigated how iron accumulates into dopaminergic cells cultured in vitro. We found that the iron content increases in dopaminergic cells exposed to an excess iron, with marked accumulation within distal ends, suggesting interaction between iron and dopamine within neurotransmitter vesicles. Increased iron content of dopaminergic neurons is suspected to promote neurodegeneration in Parkinson’s disease. The development of these experiments was supported by the European program of integrated action “Picasso”. The authors are grateful to Professor J. Lopez-Barneo, University of Sevilla, Spain, for providing the PC12 cell line. The authors are also grateful to the staff from CNA and CENBG, and especially Professor Ph. Moretto and P. Castel.